1-CD with 24-page booklet, 22 tracks, playing time 68:28 minutes. A CD with mostly previously unissued English songs. 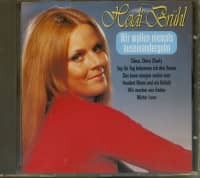 With this brand new release Bear Family honors the late Heidi Bruehl who died all too soon, and was one of the very few German singers of international class. 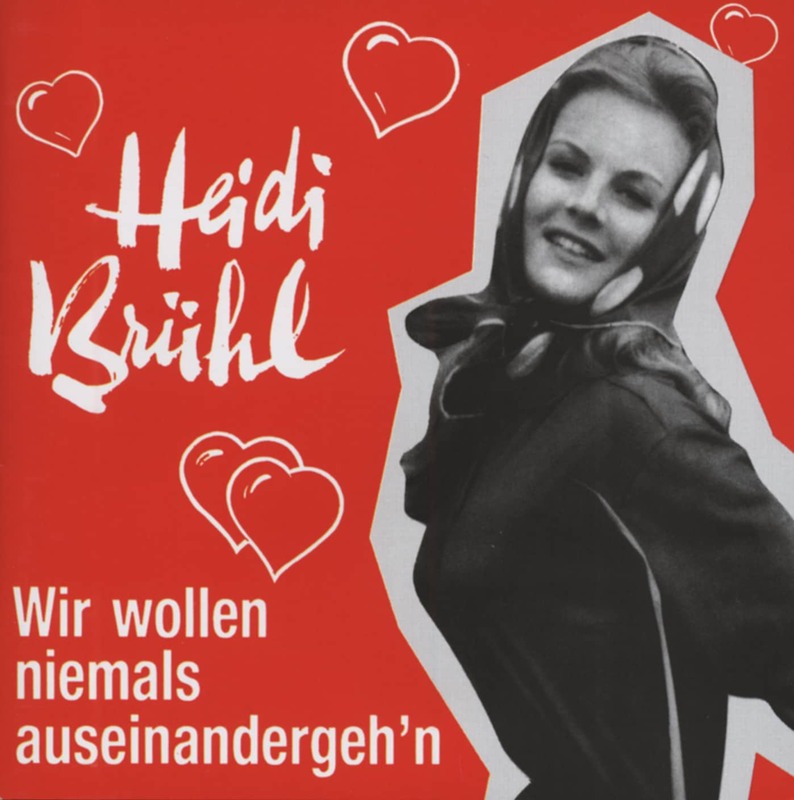 Heidi Bruehl was an outstanding musical star and guested on Las Vegas stages, whereas in Germany she remained the 'Girl from Immenhof' (a role she played in her youth in a German movie). She never got the chance to prove her real abilities as an artist. 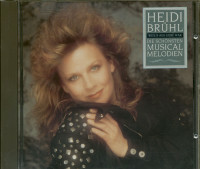 This CD proves that Heidi Bruehl's talent was always underestimated. 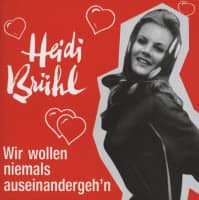 The music runs the gamut from English versions of her 1961 Schlager smash Immer will ich Dir gehoeren to her 1963 Eurovision Song Contest entry Marcel, to American hits of the late 1960s. Furthermore there are top-notch compositions by writers such as Charles Aznavour, James Last and the team of Les Reed/Barry Mason. One of the highlights on this CD is the psychedelic-tinged track Berlin, which was recorded in London, most likely with rock guitar legend Jimmy Page (of The Yardbirds and Led Zeppelin). A truly outstanding interpretation of an excellent song. 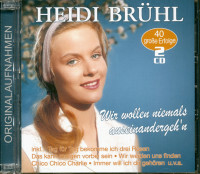 Heidi Bruehl, singing here in English, will never be forgotten. 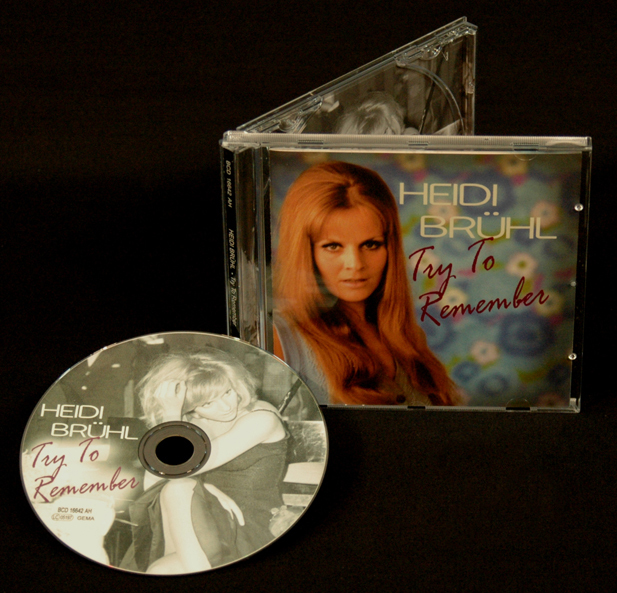 This CD is a true find, not only for her diehard fans but for all lovers of the popular song! Heidi Brühl is one of the showcase artists of the 1960s and has had a lasting influence on the German pop scene as a singer. She was not only a successful record star, but also convinced as a versatile, talented film and musical actress. In domestic show business at that time she was one of the few people believed to have an international career. She herself did so confidently and set off for Las Vegas in 1970. Heidi Brühl was born on 30 January 1942 in Gräfelfing near Munich. She's just a child when her parents' marriage gets divorced. An experience that leaves its mark. Ambition and work should help to get over it. She wants to become a dancer and already as a five year old she gets ballet lessons. Her father, who has contacts to artists and directors, later accommodates her in film and show business. After smaller roles Brühl played in'Die Mädels vom Immenhof' in 1955. The film will be a box-office hit, followed by two sequels. As a 15-year-old she gets a role in'Confessions of the impostor Felix Krull' next to Horst Buchholz. They praise her acting. She leaves school with the middle maturity and belongs from now on as a teenager of the service to the most popular young stars of the economic miracle cinema at that time. She has screen appearances alongside stars such as Freddy Quinn, Peter Kraus, Georg Thomalla or Carlos Thompson. Although she often falls in love with her partners, her father makes sure that certain limits are not exceeded. After her singing training, she made her debut as a singer in 1959 and was successful right from the start. At the beginning of 1960, she was awarded a Golden Record for her song "Wir wollen niemals auseinandergehn einen Verkaufsschlager". In the 'BRAVO'-list of the most popular singers she immediately reaches rank 3, one year later she advances to rank 2. She has long since risen to become Germany's top star. Heidi is not only an idol of the teenagers, her parents also love her. The hit fame gives her film career further impetus, the scripts are now written for her. In early 1962, after Brigitte Bardot and Conny, she is the third female darling of the public to be offered in bits and pieces as a star cut by 'BRAVO'. The first hope of international fame has been awakened: In the American film'Captain Sindbad' she plays an oriental princess with a black wig. In November of the year her father dies and leaves behind a considerable mountain of debt. Soon afterwards Heidi falls critically ill of the pancreas. She is supposed to represent Germany at the Grand Prix d'Eurovision in London on March 23, 1963. Margot Eskens will be filling in for the TV pre-selection show on February 20. But Heidi Brühl shows iron will and discipline: She is recovering faster than expected and can compete in the Eurovision competition as planned. With the Charly Niessen composition Marcel, which was selected by the TV viewers from five titles, she reaches 9th place. In the same year she takes on the leading role in the musical'Annie Get Your Gun' alongside the American opera tenor Robert Trehy. After weeks of exhausting rehearsals, the premiere took place at the Theater des Westens in Berlin on September 6, 1963. The press and the public are delighted. Even the dreaded critic Friedrich Luft enthuses: "Hats off to Heidi Brühl!" The success of the musical also helps the singer financially, she can now look to the future with confidence. Later she will take on another musical role as Eliza in'My Fair Lady'. Through her colleague Brigitte Mira, also a close friend, Heidi meets the US actor Brett Halsey, who is shooting the film'Jack and Jenny' in Berlin alongside Senta Berger. She falls in love with him and follows him to Rome, where Halsey plays in second-rate costume ham and agent films. On December 28, 1964 the couple got married, for Halsey it is already their third marriage. The wedding will take place in Starnberg, it is widely reported in the media. "Your ring has 24 diamonds," is one of the headlines. In 1966, after a long break with a hundred men and an order (The Ballad Of The Green Berets), she once again had a considerable chart success with us. But secretly she is already working on an international career. 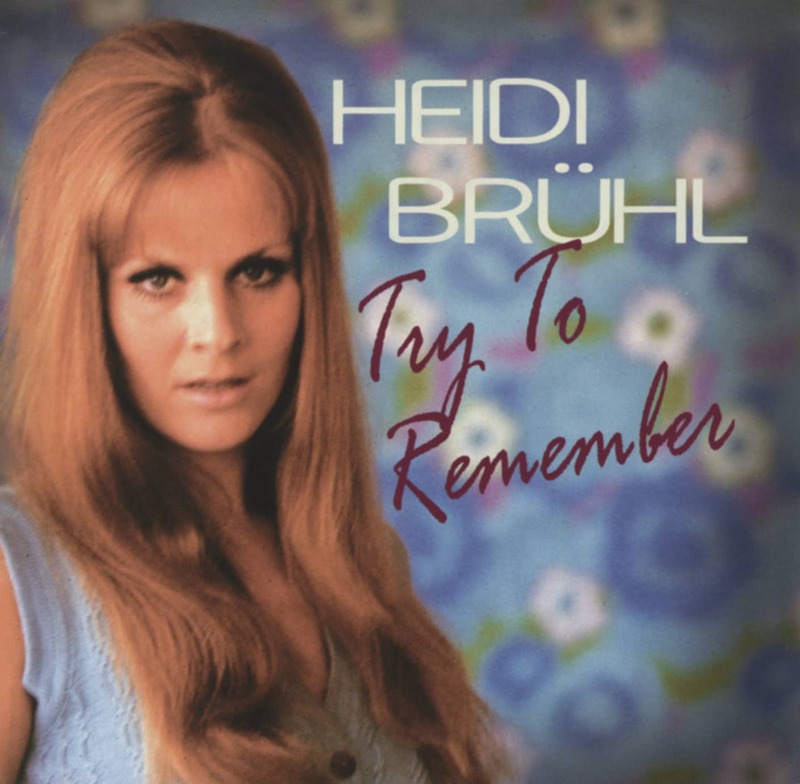 After separating from her long-time producer Fred Weyrich, she releases an LP on which she can be heard mainly with German versions of current US hits. And in London she records a single in English, which differs considerably from her usual hit productions. Customer evaluation for "Try To Remember"